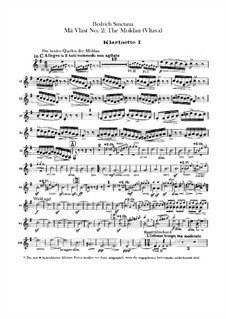 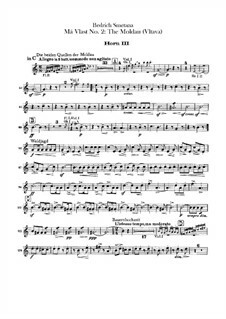 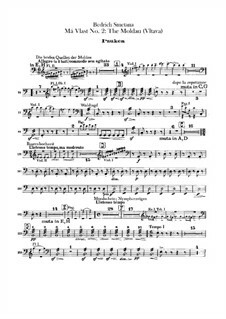 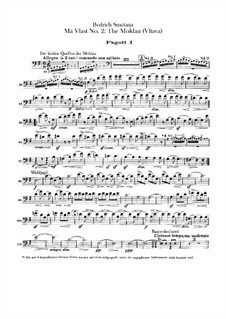 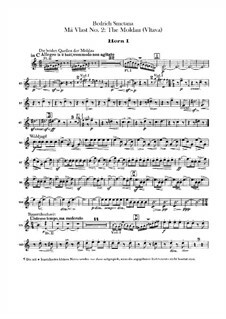 Beautiful melody by the father of Czech music, Bedrich Smetana (1824-1884). 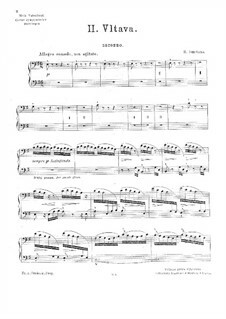 This is the theme for the river, "Vltava" or "Moldau", which is depicted as the homeland's life's blood in his tone poem, "Ma Vlast" (1882), or "My Homeland." 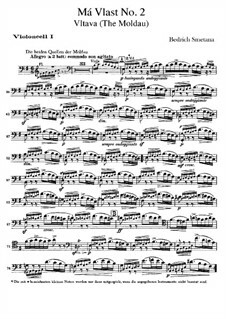 Surprisingly well suited for solo guitar! 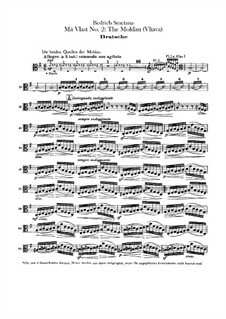 Left-hand fingerings and suggested dynamic markings included. 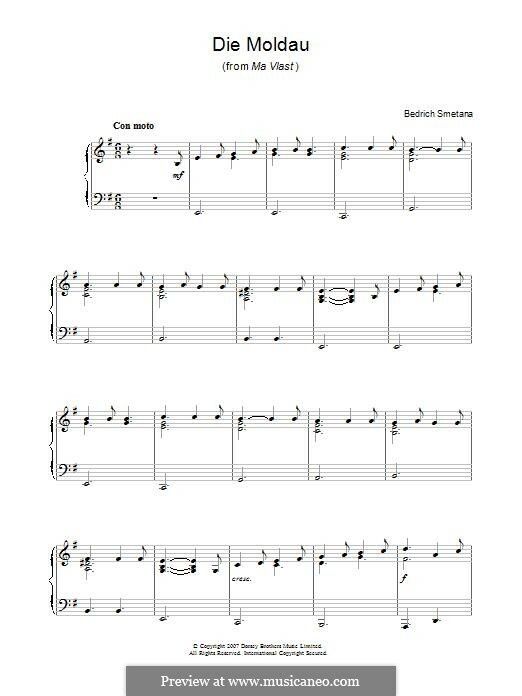 You can hear my rendition of it at the link below. 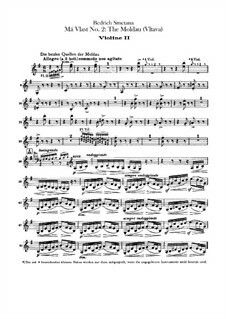 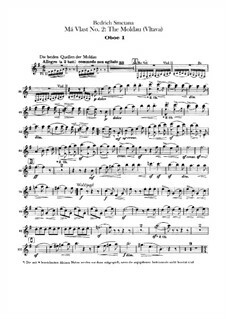 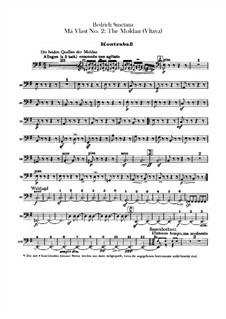 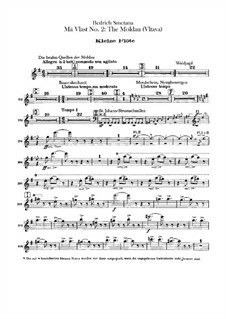 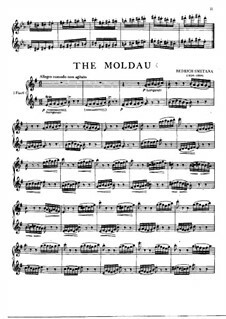 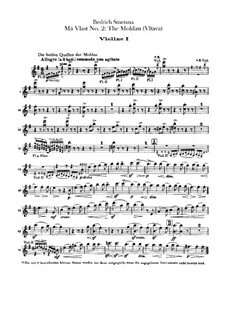 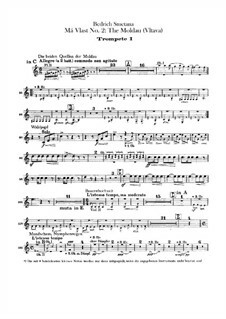 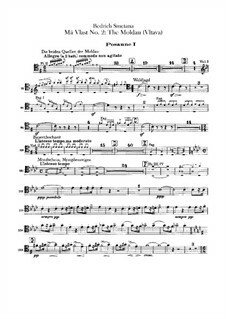 Title by uploader: Die Moldau aus 'Ma Vlast' with Tabs! 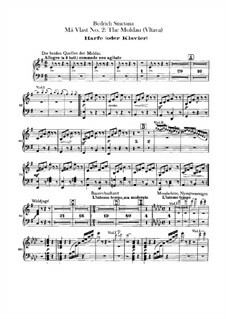 Beautiful melody by the father of Czech music, Bedrich Smetana (1824-1884). 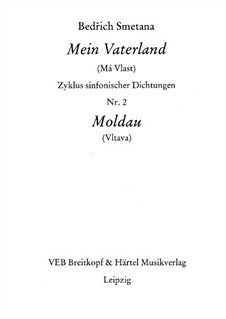 This is the theme for the river, "Vltava" or "Moldau", which is depicted as the homeland's life's blood in his tone poem, "Ma Vlast" (1882), or "My Homeland." 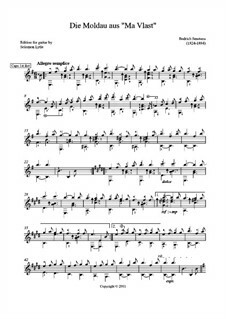 Surprisingly well suited for solo guitar! 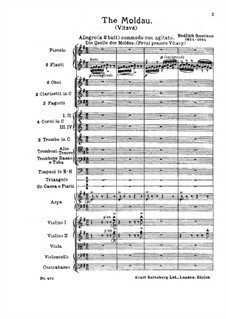 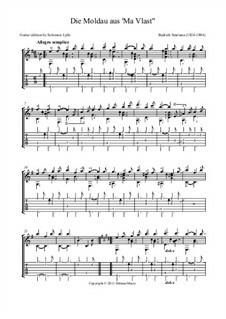 This edition features tablature, left-hand fingerings and suggested dynamic markings. 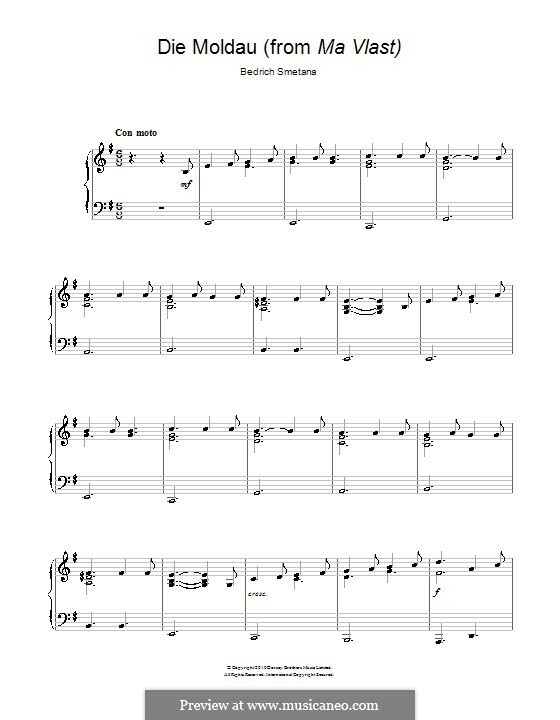 You can hear my rendition of it at the link below. 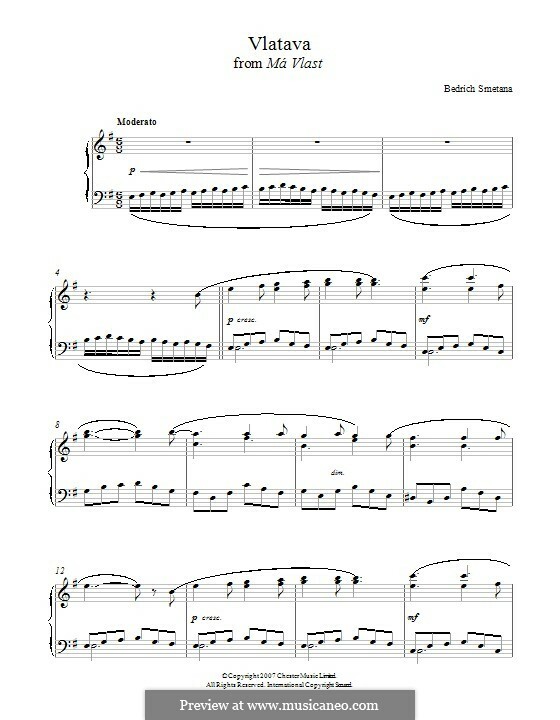 For piano four hands Arranged by Smetana B. 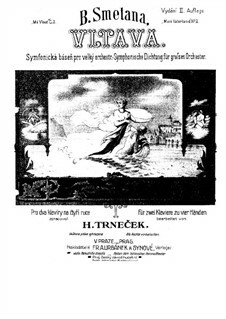 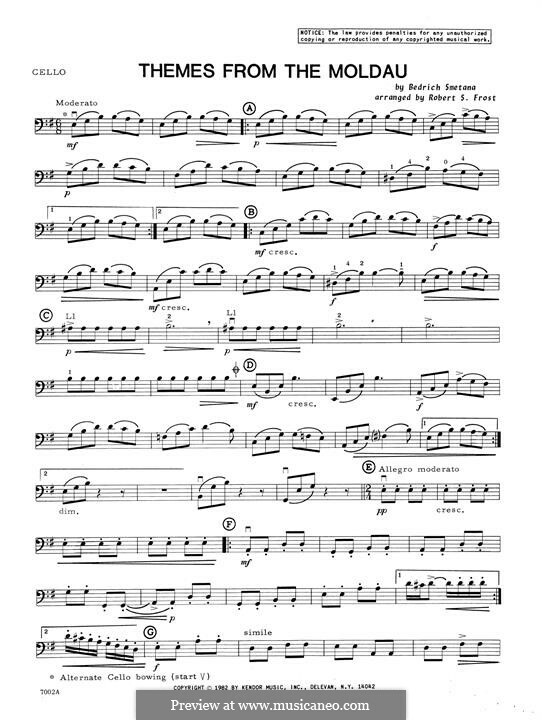 For two pianos four hands Arranged by Trneček H.
For guitar Arranged by Lytle S.
For guitar (with tabs) Arranged by Lytle S.
Themes, cello part Arranged by Frost R.S. 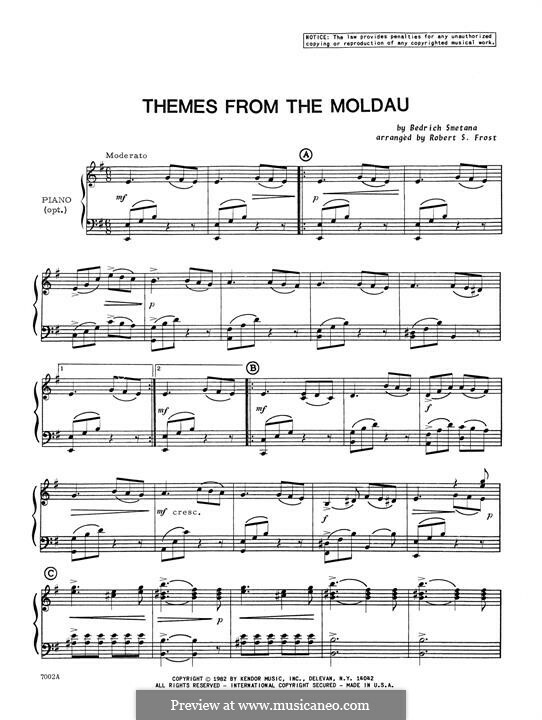 Themes, piano accompaniment Arranged by Frost R.S.